Think twice before shelling out $100 for a pair of jeans or a dress at the mall. 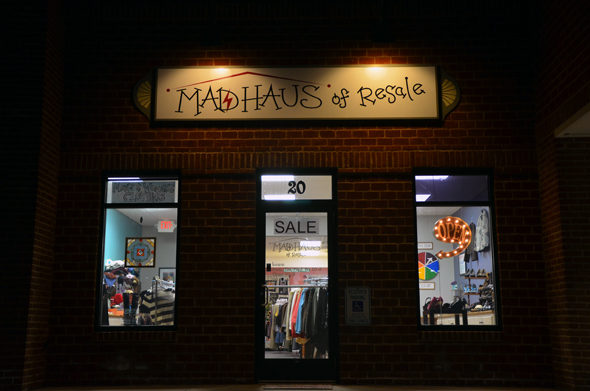 MAD HAUS of Resale is an exciting new Green Bay area business that can save you some money by offering you reasonably priced clothes – and artwork – in a beautiful and friendly environment. MAD HAUS owner Allison Rueckl has always been an entrepreneur. Her first small business endeavor was selling sour Warheads for ten cents a piece on the bus in second grade. “We got them in bulk at Sam’s Club and they were probably like a cent a piece,” she says, laughing. Allison describes herself as a “serial thrifter,” and when you look closely at the decor of her store, you can see those touches. A gorgeous antique chair hovers in one corner, and shoes are displayed on vintage cupboards and shelving. But enough about the decor – let’s talk about the clothes. It’s that dedication and eye for style, whether it be vintage, high-fashion, or everyday, that makes her selection of clothes unique. 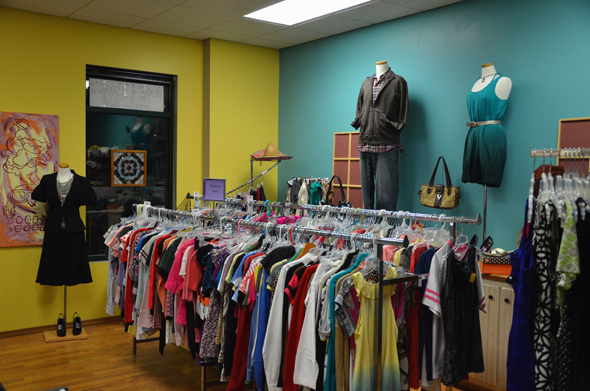 At MAD HAUS, you will find clothes of all sizes, from XS to 3X, of every style. MAD HAUS owner Allison Rueckl discusses her passion for fashion and art. 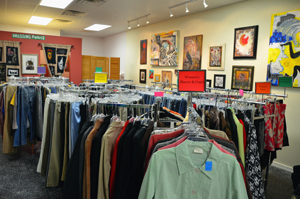 The combination that sets MAD HAUS apart from other resale shops is the selection along with the pricing. That, too, is part of Allison’s philosophy. She wants to bring back the thrill of shopping. And part of what keeps prices low is that Allison doesn’t change her price point whether the item for sale is brand-name or just a good find. That’s all together, folks. At the mall, $33 might buy you one shirt, or one pair of shoes, or one pair of tights, or one pretzel. (Okay, that last is an exaggeration, but isn’t that what it feels like?) We estimate that those same purchases at the mall would easily cost over $100. 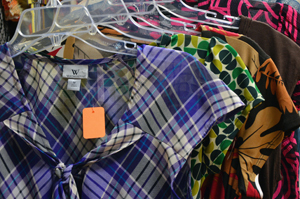 If you’re interested in selling your clothes to MAD HAUS, you should bring clean, well-pressed items. As far as condition goes, Allison says, “If you would buy it, I will most likely buy it.” She will outright buy what she wants from you rather than offer it on consignment. 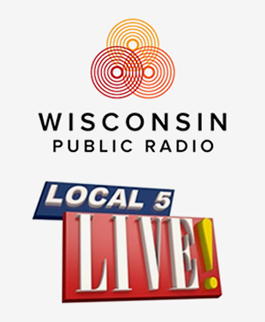 And if you would like to shop as well as sell, she also offers a 50% in-store credit option. So if she values your clothes at $50, you could have $75 in-store credit. But MAD HAUS is about more than just clothes. Allison also offers her wall space free to local artists. Being an artist herself, she understands the importance of supporting the local arts community. You can like MAD HAUS on Facebook here. I really like the Mad Haus. I purchased that jacket Allison was talking about that fit like a glove! 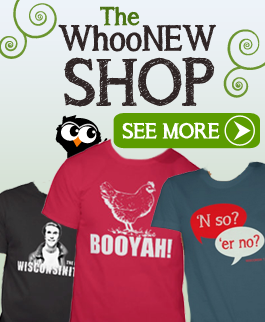 This is an exciting and fun place to shop. Good luck Allison. I can’t wait to check out this store, sounds like my kind of place! 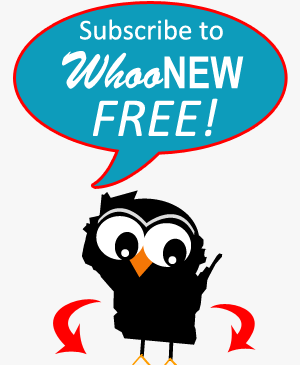 Thanks for stopping by MAD HAUS and the feedback on WhooNEW. Sounds great… where is it?